Winning Ways has been providing the opportunity for interested horse persons to learn and develop horsemanship and riding skills through a series of programs since 1999. These programs were developed for students to learn safe horsemanship practices and riding skills at a national standard, under the guidance of a certified coach. 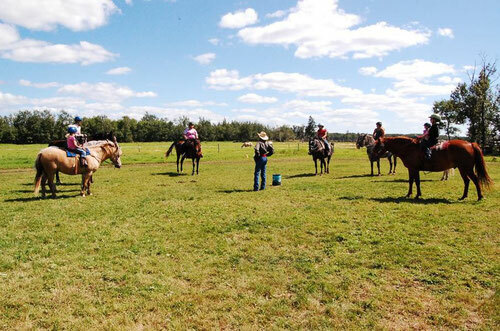 A participant in a Winning Ways Horsemanship &/or Riding Program will learn safe handling of horse, and basic riding skills in their first lessons. Later they may progress to novice, intermediate or advanced riding skills; psychology of horses and riders; stable management; care and feeding of horses; bandaging for first aid, travel and exercise; lunging of horse and rider/horse; unsoundness and sickness; safety for riders and horses; competition rules and etiquette; trail riding rules and etiquette. Winning Ways seeks to provide an environment that is enjoyable, safe and where all individuals are treated with respect and dignity. Please look at the following pages to determine your or your child’s riding level for lessons. Monday (exceptions May 20 & June 3) and Wed or Thurs. Minimum 3 students per lesson, suggested for Rookies or older riders (young beginners may find this too tiring). Payment for lessons can be made in two installments the first $245 will be due on or before April 29 and the second installment will be due May 27. Lessons will be completed by June 19 or 20. 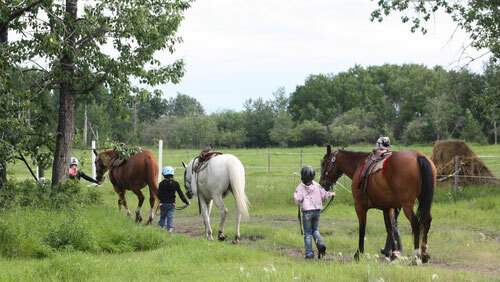 Horsemanship Lessons include handling & grooming but no riding, and are an hour-long, hands-on lesson on Saturdays.